To ensure the structural beauty and longevity of your Victorian Garden Building, please read the recommendations below, which will help guide you in how to care for your design. 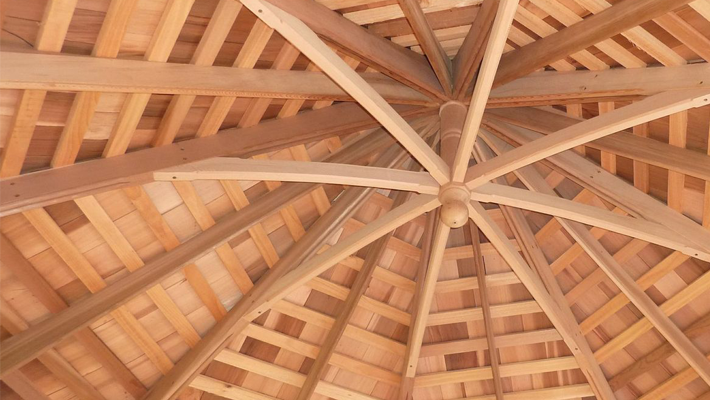 Your structure has been crafted from Western Red Cedar. The natural stability and durability in this wood means it is less likely to twist and crack than other treated wood products. Western Red Cedar contains natural oils that act as a preservative, which will help prevent the structure from decay and the outside elements. Because of these natural oils, cedar structures do not need to be treated or finished, and left to age naturally the wood will weather to a beautiful silver-grey. It is important to remember, that if you choose to let your design age naturally without the treatment of a sealant or stain then the timber will take in moisture and this may show on the inside of your structure. This is normal and will not affect its longevity. You may decide that you would like to treat your structure to maintain its golden colour and protect it from moisture. In this case we would recommend a water sealer, which will protect the product from both moisture and sunlight. You will need to re-apply this every year-or-so depending on the location of your structure in the garden and the area you live in. Teak or linseed oil can be rubbed over the wood to deepen the colour and slow-down the aging process by repelling water. If you would prefer to change the colour of your structure it can be stained to suit your design ideas. Again as with the water sealer you may need to re-apply this every year-or-so.